In Davos in late January, several powerful governments and their allies announced their intention to launch new negotiations on e-commerce. Unusually, the intention is to launch the plurilateral negotiations in the World Trade Organization (WTO), an ostensibly multilateral organization, setting problematic precedents for the future of multilateral negotiations. Any resulting WTO agreement, especially one to make e-commerce tax- and tariff-free, will require amendments to its existing goods agreements, the General Agreement on Trade in Services (GATS) and the Trade-Related Intellectual Property Rights (TRIPS) agreements. If it is not an unconditional agreement in the WTO, it will violate WTO ‘most favoured nation’ (MFN) principles. This will be worse than the old, and ostensibly extinct ‘Green Room’ processes — of a few major powers negotiating among themselves, and then imposing their deal on the rest of the membership. Thus, the proposed e-commerce rules may be ‘WTO illegal’ — unless legitimized by the amendment processes and procedures in Article X of the WTO treaty. Any effort to ‘smuggle’ it into the WTO, e.g., by including it in Annex IV to the WTO treaty (Plurilateral Trade Agreements), will need, after requisite notice, a consensus decision at Ministerial Conference (Art X:9 of treaty) . It may still be illegal since the subjects are already covered by agreements in Annexes 1A, 1B and 1C of the WTO treaty. Powerful technology transnational corporations (TNCs) are trying to rewrite international rules to advance their business interests by: gaining access to new foreign markets, securing free access to others’ data, accelerating deregulation, casualizing labour markets, and minimizing tax liabilities. While digital technology and trade, including electronic or e-commerce, can accelerate development and create jobs, if appropriate policies and arrangements are in place, e-commerce rhetoric exaggerates opportunities for developing country, especially small and medium enterprises. Instead, the negotiations are intended to diminish the right of national authorities to require ‘local presence’, a prerequisite for the consumer and public to sue a supplier. The e-commerce proposals are expected to strengthen the dominant TNCs, enabling them to further dominate digital trade as the reform proposals are likely to strengthen their discretionary powers while limiting public oversight over corporate behaviour in the digital economy. If digital commerce grows without developing countries first increasing value captured from production — by improving productive capacities in developing countries, closing the digital divide by improving infrastructure and interconnectivity, and protecting privacy and data — they will have to open their economies even more to foreign imports. Further digital liberalization without needed investments to improve productive capacities, will destroy some jobs, casualize others, squeeze existing enterprises and limit future development. Such threats, due to accelerated digital liberalization, will increase if the fast-changing digital economic space is shaped by new regulations influenced by TNCs. Diverting business through e-commerce platforms will not only reduce domestic market shares, as existing digital trade is currently dominated by a few TNCs from the United States and China, but also reduce sales tax revenue which governments increasingly rely upon with the earlier shift from direct to indirect taxation. Developing countries must quickly organize themselves to advance their own agenda for developmental digitization. Meanwhile, concerned civil society organizations and others are proposing new approaches to issues such as data governance, anti-trust regulation, smaller enterprises, jobs, taxation, consumer protection, and trade facilitation. A development-focused and jobs-enhancing digitization strategy is needed instead. Effective national policies require sufficient policy space, stakeholder participation and regional consultation, but the initiative seeks to limit that space. Developing countries should have the policy space to drive their developmental digitization agendas. Development partners, especially donors, should support, not drive this agenda. Developmental digitization will require investment in countries’ technical, legal and economic infrastructure, and policies to: bridge the digital divide; develop domestic digital platforms, businesses and capacities to use data in the public interest; strategically promote national enterprises, e.g., through national data use frameworks; ensure digitization conducive to full employment policies; advance the public interest, consumer protection, healthy competition and sustainable development. Data governance infrastructure: Developing countries must be vigilant of the dangers of digital colonialism and the digital divide. Most people do not properly value data, while governments too easily allow data transfers to big data corporations without adequate protection for their citizens. TNC rights to free data flows should be challenged. Enterprise competition: Developing countries still need to promote national enterprises, including through pro-active policies. International rules have enabled wealth transfers from the global South to TNCs holding well protected patents. National systems of innovation can only succeed if intellectual property monopolies are weakened. Strengthening property rights enhances TNC powers at the expense of developing country enterprises. Employment: Developmental digitization must create decent jobs and livelihoods. Labour’s share of value created has declining in favour of capital, which has influenced rule-making to its advantage. Taxation: The new e-commerce proposals seek to ban not only appropriate taxation, but also national presence requirements where they operate to avoid taxes at the expense of competitors paying taxes in compliance with the law. Tax rules allowing digital TNCs to reduce taxable income or shift profits to low-tax jurisdictions should be addressed. Consumer protection: Strong policies for consumer protection are needed as the proposals would put privacy and data protection at risk. Besides citizens’ rights to privacy, consumers must have rights to data protection and against TNC and other abuse of human rights. Competition: Digital platforms must be better regulated at both national and international level. Policies are needed to weaken digital economic monopolies and to support citizens, consumers and workers in relating to major digital TNCs. Trade facilitation: Recent trade facilitation in developing countries, largely funded by donors, has focused on facilitating imports, rather than supply side constraints. Recent support for digital liberalization similarly encourages developing countries to import more instead of developing needed new infrastructure to close digital divides. ‘E-commerce’ has become the new front for further economic liberalization and extension of property rights by removing tariffs (on IT products), liberalizing imports of various services, stronger IP protection, ending technology transfer requirements, and liberalizing government procurement. Developing countries must instead develop their own developmental digitization agendas, let alone simply copy, or worse, promote e-commerce rules developed by TNCs to open markets, secure data, as well as constrain regulatory and developmental governments. 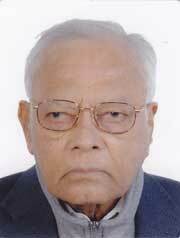 Chakravarthi Raghavan, Editor-emeritus of South-North Development Monitor SUNS, is based in Geneva and has been monitoring and reporting on the WTO and its predecessor GATT since 1978; he is author of several books on trade issues. 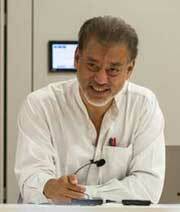 Jomo Kwame Sundaram is Senior Adviser with the Khazanah Research Institute. He was an economics professor and United Nations Assistant Secretary General for Economic Development. 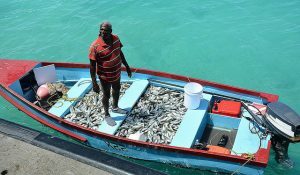 Particularly worrisome for small island developing states (SIDS) is the finding that 70 to 90 percent of tropical coral reefs will be lost at a 1.5 °C temperature increase and 99 percent of tropical coral reefs will be lost at a 2 °C temperature increase. 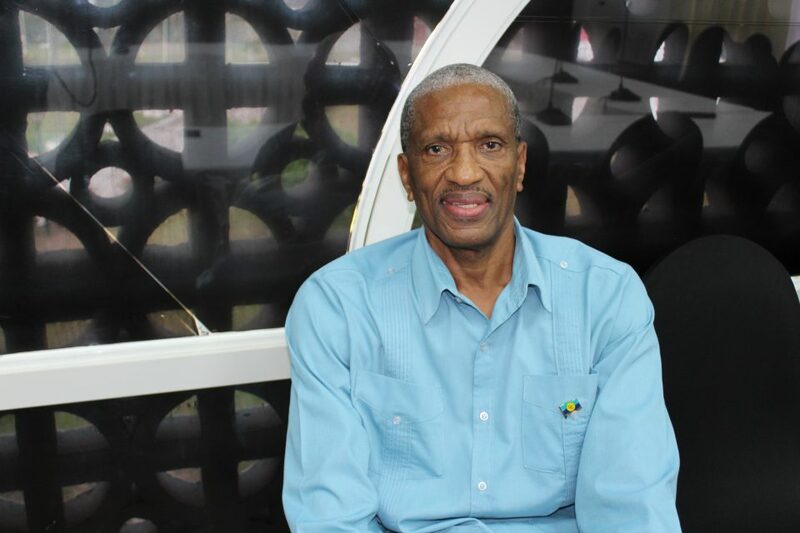 Inter Press Service (IPS): How is the CARICOM region doing with its climate change fight? History testifies that there is no end to its evolution despite what some have claimed. This is because aspirations of its actors are in constant flux and because the quest for an « ideal city » is asymptotic. Without a doubt, migration is a defining issue of this century. 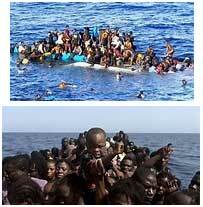 One billion people, one-seventh of the world’s population, are migrants. Some 258 million people are international migrants, 40 million are internally displaced and 24 million are refugees or asylum seekers. In 2018, there was no longer a single state that can claim to be untouched by human mobility. About 423 million people are living in the Economic Community of West African States, a 15-member grouping whose aim is to promote economic integration in a region where the unemployment rate is sometimes 20%—inevitably leading to migration. The protection of migrants is a core value of the International Organization for Migration (IOM), the UN migration agency. Globally, but especially in the Sahel region, abuses against migrants have grown more frequent along the migration routes. Human trafficking and smuggling exacerbate the vulnerability of migrants, especially those without access to documentation. The IOM’s Regional Office for West and Central Africa maintains the conviction that anchored IOM’s founding 65 years ago: that all men and women are equal members of the same human family in which freedom, protection and dignity are not luxuries to be reserved for the lucky few but fundamental rights for all humankind. Migration across the Sahel region is a complex issue, and managing it involves major challenges, including insufficient migration data, weak border management and controls, the recurrent need for humanitarian assistance, irregular migration and human trafficking. Without effective bilateral or regional mobility agreements, thousands of workers will migrate. Migration is often associated with poverty, but other factors also drive the phenomenon, including youth unemployment, climate change and urbanization. Employment-seeking migration accounts for the biggest share of intraregional mobility as youth migrate from one country to another looking for better job opportunities. Widespread population displacement is also linked to violent conflicts and unstable environmental conditions. Conflict in the Central African Republic, for example, has left an estimated 2.5 million people relying on humanitarian assistance and 690,000 internally displaced. Migrants fleeing violence have spilled across the borders of neighboring countries, particularly Cameroon, Nigeria, the Democratic Republic of the Congo, Chad and the Republic of Congo. The current situation represents a challenge not only for the affected countries but also for the region. In view of this growing crisis, a well-managed, orderly migration framework that incorporates practical, humane and rights-based operational solutions is needed. Strengthening mobility schemes in the region will foster regular and circular migration, allowing people to work abroad legally, return home safely and participate in the development of their communities of origin. This strategy must also ensure the mobility of cross-border communities, but such mobility raises border management challenges in the absence of effective identity management systems and given limited capacities to ensure surveillance and control over the extensive and porous borders throughout the region. Stakeholders will have to take coordinated action to address issues such as threats to public health, despoiling of natural resources, the loss of critical years of education and job training. An increasing number of migrants are reconsidering migration—especially irregular migration—and want to make it at home before taking undue risks by going abroad. 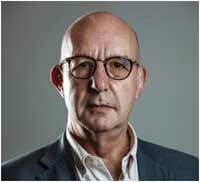 Legal channels and regional mobility schemes could help this group. To ensure the safety of vulnerable populations along migratory routes who lack legal options to migrate or return home, IOM, together with African Member States and the European Union, launched in December 2016 the EU-IOM Joint Initiative on Migrant Protection and Reintegration to provide immediate assistance to stranded migrants along the routes. Almost 40,000 people have received assistance since the launch. West and Central Africa face some of the world’s greatest challenges—climate change and desertification, displacement due to conflict, galloping population growth and a youth bulge. But thanks to the resilience of the population of almost half a billion, these are also regions of enormous potential. Sound migration policies and close cooperation among countries within the regions and on the continent with other countries of destination will help realize that potential, as will commitment by all concerned states to implement the new Global Compact for Migration. 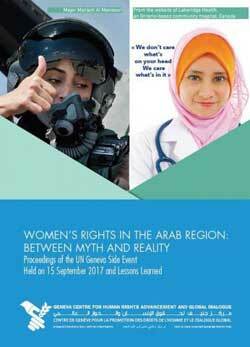 (Geneva Centre) – A new publication entitled “Women’s Rights in the Arab Region: Between Myth and Reality” has been released by the Geneva Centre for Human Rights Advancement and Global Dialogue. On 15 September 2017, the Geneva Centre organized a meeting on the same theme in cooperation with the Permanent Mission of the Arab Republic of Egypt at the United Nations Office in Geneva. It was held as a side-event to the 36th session of the UN Human Rights Council. The conference held in the format of a panel debate sought to review the remaining challenges and to deconstruct the existing myths regarding women in the Arab region. As became evident during the debate, women worldwide are still suffering, to different degrees, from the grip of patriarchy, and these challenges are not specific to any culture, but are common to all countries. The panel highlighted the negative impact of the stereotypical representations of Arab and Muslim women, and the resulting intersecting forms of discrimination. Despite the efforts of the international community, and the comprehensive international legal framework on women’s rights, major setbacks persisted all around the world. The present publication features the proceedings of the above-mentioned panel discussion, as well as the written contributions from the renowned panellists that participated in the side-event, which include HE Ms Hoda Al-Helaissi, Member of Saudi Arabia’s Shura Council and former Vice-Chairperson at King Saud University, Ambassador Naela Gabr, Member of the UN Committee on the Elimination of Discrimination against Women, Ambassador Dubravka Simonovic, UN Special Rapporteur on violence against women, its causes and consequences, Dr.Susan Carland, Researcher and Director of Monash University’s Bachelor of Global Studies in Australia, Ms Sarah Zouak, Co-founder of the French association Lallab and HE Ms Tahani Ali Toor Eldba, Minister of State at the Ministry of Justice of the Sudan. 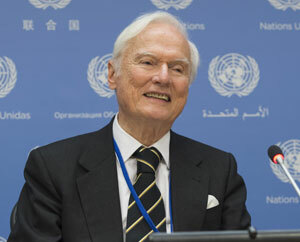 It also contains a study signed by Ambassador Naela Gabr and edited by Ambassador Idriss Jazairy, Executive Director of the Geneva Centre, which seeks to underscore the lessons learned from the debate and to broaden the discussion to other regions of the world. The 2030 Agenda for Sustainable Development adopted by all United Nations Member States in 2015 has entered its fourth year of implementation. In terms of the estimated cost and the universal coverage of both developed and developing countries, it is the biggest ever development program that is being implemented to end poverty, protect the planet and ensure that all people enjoy peace and prosperity. LEEG-net (Legal & Economic Empowerment Global Network – https://www.leeg-net.org ) is a multi-disciplinary network of professionals and a pro bono partnership for the Goals launched in January, 2017 in response to the global call-to-action extended by the 2030 Agenda for Sustainable Development. It plays a catalytic role in implementing the SDGs by promoting legal innovation and empowerment of the poor and disadvantaged groups towards addressing the “greatest global challenge of eradicating poverty” – the unifying thread throughout the 17 Goals. According to LEEG-net, the focus on legal innovation is an ongoing quest for new strategies and ways of thinking about what the law can do in the field of development. The focus on legal empowerment as a human rights-based approach to development is an attempt to make the law work for the poor and disadvantaged groups by enhancing their capacity to resist poverty and get over it. LEEG-net links the two themes by virtue of their shared importance in finding solutions to sustainable development challenges. The Sustainable Development Goals Report 2018 published by the United Nations reviews progress in the third year of implementation of the 2030 Agenda. The report states that the rate of global progress is not keeping pace with the ambitions of the Agenda, necessitating immediate and accelerated action by countries and stakeholders at all levels. The 2018 SDG Index and Dashboards report published jointly by Bertelsmann Stiftung and the UN Sustainable Development Solutions Network (SDSN) provides a ranking of countries by the aggregate SDG Index of overall performance. (a)	The Report states “For the first time, we are able to show that no country is on track to achieve all the goals by 2030. (b) Most G 20 countries have started SDGs implementation, but important gaps remain. (c) Achievement gaps are greatest towards universal completion of secondary education. (d) Countries experiencing conflict have experienced some of the sharpest reversals, particularly towards achieving Goal 1 (No Poverty) and Goal 2 (No Hunger). (e) Progress towards sustainable consumption and production patterns is too slow. High-income countries obtain their lowest scores on Goal 12 (Sustainable Consumption and Production) and Goal 14 (Life Below Water). (g) High-income countries generate negative SDG spillover effects. The 2030 Agenda is grounded in the Universal Declaration of Human Rights and other international human rights treaties. According to an analysis of the Danish Institute for Human Rights, around 92% of the 169 SDG targets are based on the provisions of international human rights treaties and labour conventions. LEEG-net perceives the 2030 Agenda and the SDGs as a restatement of universal human rights that encompass the three dimensions of sustainable development – social, environmental and economic. The SDGs can be seen as a goal-based operational plan for realizing human rights including the right to development as recognized by international, regional and national instruments. The “human rights foundation” of the 2030 Agenda justifies the adoption of a human rights-based approach to implementing the SDGs. A human rights-based approach to development seeks to achieve development objectives by following a legal roadmap. The Universal Declaration of Human Rights (1948), the two International Covenants adopted in 1966 respectively on Civil and Political Rights, and Economic, Social and Cultural Rights along with other human rights instruments operative at the international, regional and national levels constitute the legal roadmap of a rights-based approach to development. With the objective of advancing the 2030 Agenda for Sustainable Development, LEEG-net seeks to incorporate business-friendly and human rights-based approaches (or a holistic approach) into national action plans for implementing the SDGs. The proposed mechanism is the promotion of legal, economic and technological empowerment of people including the poor and disadvantaged groups within the human rights foundation of the SDGs. This process is visualized by the infographic named SDG Temple of Justice – an outline of a blueprint developed by LEEG-net team (web: https://www.leeg-net.org/sdg-temple-of-justice). This blueprint seeks to prioritize policies and actions to advance eightfold rights that are considered imperative for developing countries in particular if they are to fully realize the SDGs. These rights, as depicted by pillars of the infographic, are Gender Equality, Property Rights, Contract Rights, Business Rights, Labour Rights, Right to an Effective Remedy, Right to Information, and the Right to Development. Click on the pillars of the SDG Temple of Justice infographic to see how these rights critically impact on achieving the SDGs. Member States’ commitment to adopting business-friendly approaches, including efficient legal and regulatory frameworks, promotes innovation, employment and inclusive growth. As supported by empirical evidence, actions taken by State institutions that promote, protect and assure the rights of businesses (irrespective of their size) have had a direct impact on reducing poverty. Economies with better business regulation have lower levels of poverty on average (Doing Business-2018, World Bank). Such commitments are required to help achieve SDGs 1, 2, 5, 8 and 10 in particular. LEEG-net considers the Ease of Doing Business (EODB) score as an effective indicator for measuring the “SDG-readiness” of national business regulatory frameworks. The EODB score has been developed by World Bank’s Doing Business team to indicate an economy’s position to the best regulatory practice in relation to 10 indicator sets – the best score is set at 100, and the worst performance is set at 0. LEEG-net believes that a considerable number of SDG targets of the 2030 Agenda can be easily met if countries maintain an EODB score of 80 or more.